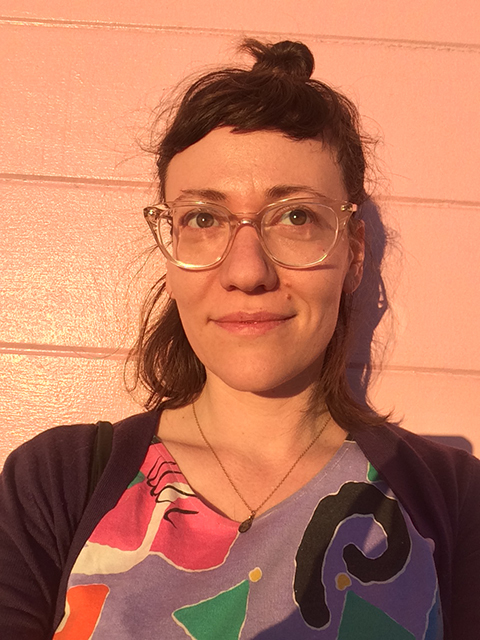 Amy Berkowitz is a Bay Area writer. She received her MFA from the University of Michigan, where she won a Hopwood Award. Her first book, Tender Points, has been praised by the Kenyon Review, the Huffington Post, and Feministing. Other writing has appeared in Dusie, Textsound, ENDPAIN, and Where Eagles Dare. She is the host of the Amy's Kitchen Organics reading series and the founding editor of Mondo Bummer Books. In 2014, she was the inaugural writer in residence at Alley Cat Bookstore and Gallery; she is now the administrator of the Alley Cat residency program. Originally from New York City, she lives in a rent-controlled apartment in San Francisco.